Where ocean meets desert, that's where the Red Sea lies. 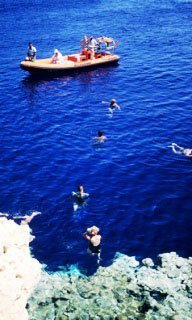 Scuba diving here often means travelling to Egypt, a fascinating holiday destination full of wonders both ancient and natural. Egypt's section of the sea stretches from the beautiful and renowned Sinai Peninsula in the north to the Sudanese border. Cultural tourism plays a large part in Egypt's worldwide attraction with so many historical sites of ancient civilisations. When picturing its finest tourist attractions, legendary places such the pyramids of Giza, The Valley of the Kings, Mount Sinai and the River Nile spring easily to mind. For scuba divers there are also fascinating natural seascape environments, clean, vibrant reefs and innumerable tropical fish species. 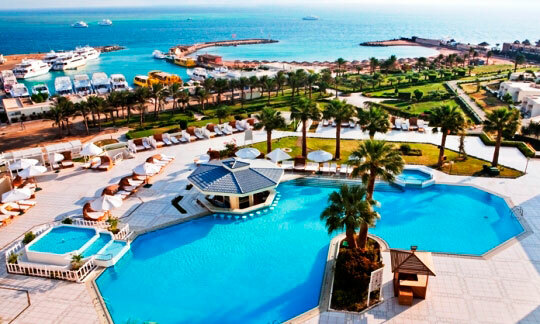 All these things combine to make Egypt one of the most exotic holiday locations on Earth. The Red Sea is a glittering example of what environmental cooperation and commitment can achieve. Despite the convenience of getting there from Europe and its consequent popularity, it boasts some of the best preserved marine environments on the planet, thanks to local authorities and dive operators protecting their tourism resources. 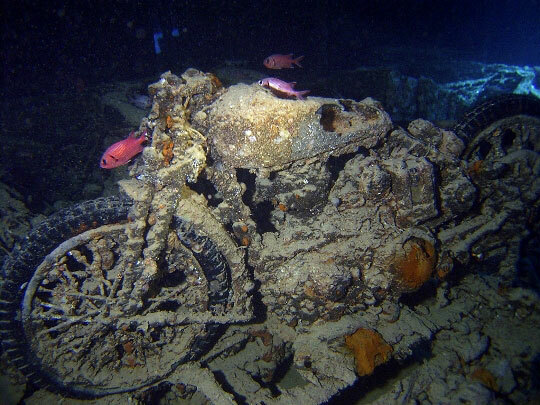 Undoubtedly the Red Sea is as interesting as it is unique. Essentially a cul-de-sac, a large portion of the sea's marine life is indigenous, making the Red Sea a wondrous diving destination. Travelling to Egypt to sample the historical and underwater wonders in this amazing region should be a must for any scuba diving enthusiast. Hurghada - A 'happening' Red Sea tourist town on the Egyptian mainland, Hurghada offers daytrip diving to more than 40 sites, including a local marine park. Its shallow protected reefs are popular with beginners, and its excellent wrecks and submerged coral plateaus attract more advanced diving enthusiasts. Dolphin encounters are almost gauranteed. 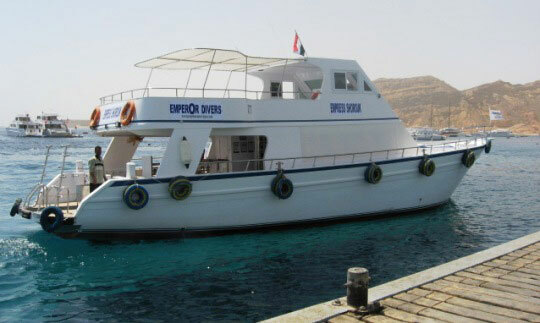 [More information on these dive sites: Hurghada]. 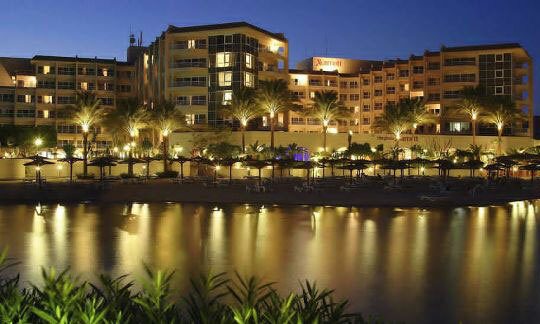 Sharm El Sheikh - Located on the Sinai Peninsula, this is the Red Sea's most popular dive tourist destination. 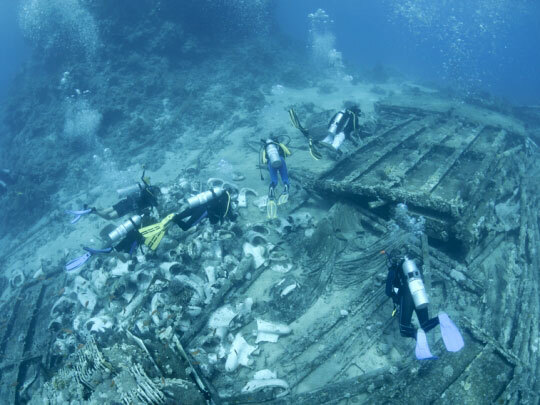 Holiday makers have the opportunity to make day trips to visit sites right across the peninsula, from the world famous Thistlegorm wreck and Ras Mohamed National Park to the Straits of Tiran. 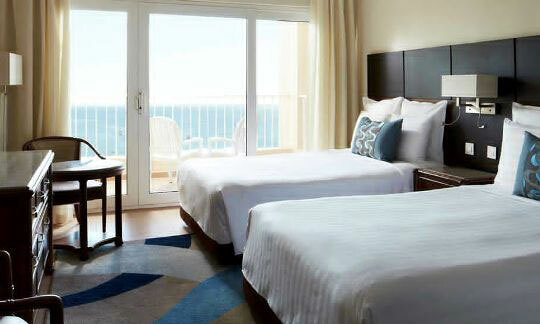 The town hosts some of the world's leading hotel names, as well as some more affordable beach resorts. 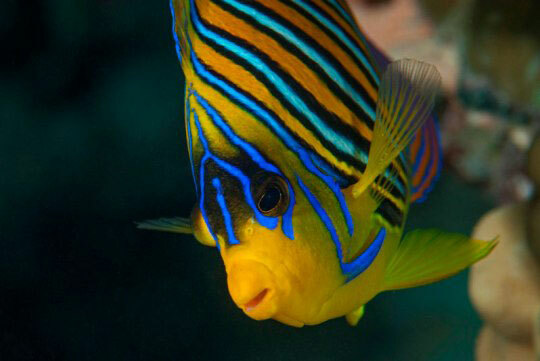 [More information on these dive sites: Sharm El Sheikh]. 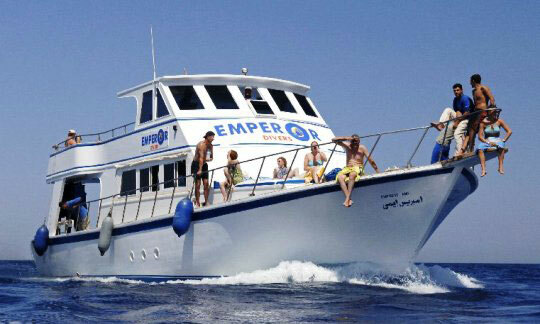 We also offer day trip diving from Marsa Alam. 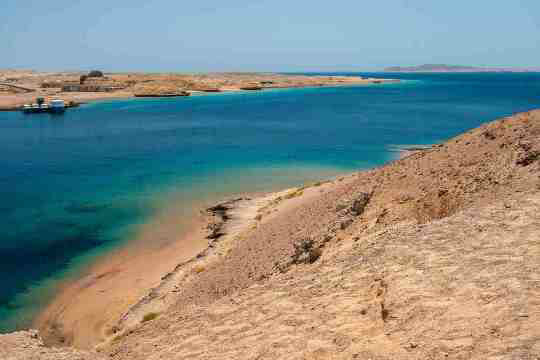 In these Red Sea locations you will hear many languages spoken in the huge choice of hotels along the coast. 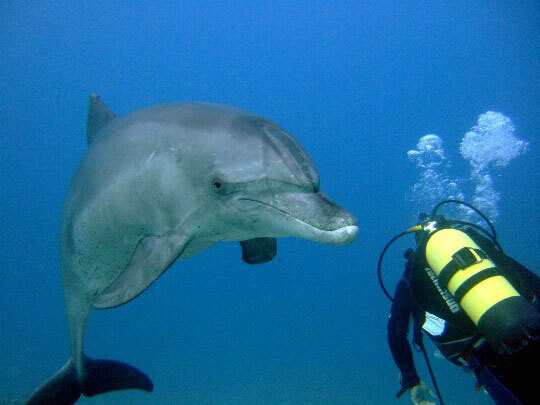 You'll meet visitors from all over the world, many enjoying their first overseas diving holiday in this great value-for-money destination. The area is full of accommodation options to suit all budgets. 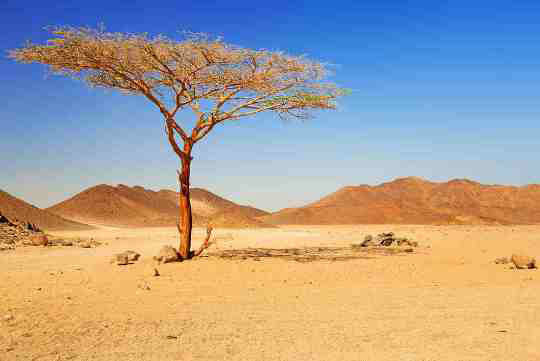 The weather in Egypt is typical of the country's desert climate. Days are commonly warm or hot, and nights are cool. Rainy days are few and far between and nearly unknown in upper Egypt. There are only 2 seasons in Egypt, a mild winter (20-29°C from December through May) and a hot summer (24-42°C from June to November), although the heat is less taxing than you may imagine, due to the low humidity. For most part, the weather is ideal and sunny, but at night there can be a noticeable drop in temperature, making it wise to pack both lightweight and warm clothing. 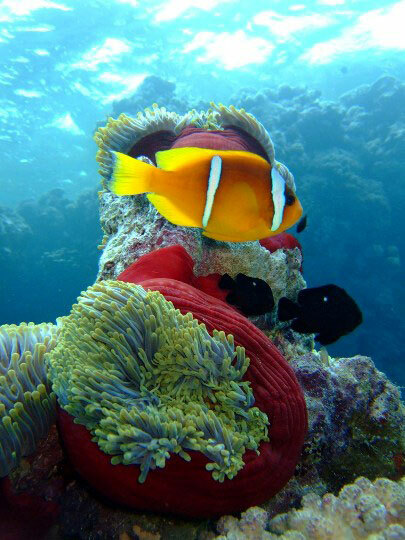 The Red Sea is a year-round diving destination, with water temperatures ranging between 22-30°C. The overall average water temperature is 25°C. April to May or September to November would be the best time to come to enjoy the warm days sans the midday heat of high summer and the crush of fellow tourists. Review the resort page of each specific destination for details on the best time to go to each destination. All visitors to Egypt (except those from Malta and Arab countries) must obtain a tourist visa, have a passport that is valid for at least 6 months, sufficient funds for expenses during their stay, and an onward / return ticket. Please email us a copy of the main (photograph) page of your passport. 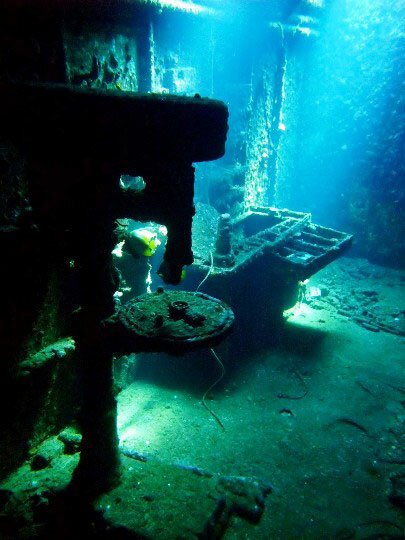 The operator will need this to obtain dive permissions. A 30-day single entry visa is available from your local Egyptian Consulate, but airport visas may be available for citizens of the UK, EU, Australia, Canada, New Zealand and the United States (may delay you somewhat upon arrival). The cost varies and must be paid in US dollars or British pounds sterling. Whenever possible it is advisable to obtain visas in advance. Your airline may not allow you to board without a visa and visa requirements may vary from time to time. Please check with your local Egyptian Consulate for information on entry requirements. If you are a citizen of a country that Egypt requires tourists to apply for a visa beforehand, it can be very difficult to obtain a visa, so allow plenty of extra time for these applications. You can visit the Minister of Foreign Affairs' website for more details. You should be aware that there are potential health hazards when travelling in Egypt. However, it is fair to say that the vast majority of tourists suffer nothing worse than a bout of diarrhoea and is often brought on by overindulgence of rich food and a little dehydration. Although vaccinations are no longer necessary or required to enter Egypt, evidence of Yellow Fever and Cholera immunizations is required from persons who have been in a Yellow Fever endemic area within 6 days prior to arrival. It is strongly recommended that you are vaccinated for Typhoid, Tetanus, Diphtheria and Hepatitis A. However, we advise you seek medical advice about immunisations at least 6 weeks before you travel. Discuss this and all your health requirements with your doctor. Most common health problems can be avoided whilst on a diving trip in Egypt by drinking bottled water and lots of it (at least 3 litres per day)! Bottled water is available everywhere but be sure the seal on the bottle is unbroken before you buy it. Avoid tap water and fountain drinks, as well as milk, fruit drinks and ice cubes outside of good hotels. Never eat food from a market or street vendor. You should only eat thoroughly cooked food and fruits that you have washed and peeled yourself. Mosquitoes are not usually malarial but they can be a nuisance. Use repellent creams to stop them from having you as a snack. The worst time for getting bitten is after dusk. One or more hospitals are available in the main tourist cities. Most of the hotels have a doctor available on call who can treat you on the spot and will know where to direct you in case you need hospital services. Pharmacists in the major Red Sea towns are very knowledgeable and, in most cases, are familiar with common ailments. We suggest you carry a travel medical and first aid kit with you (including medication against sunburns, insect bites, seasickness and stomach disorders). 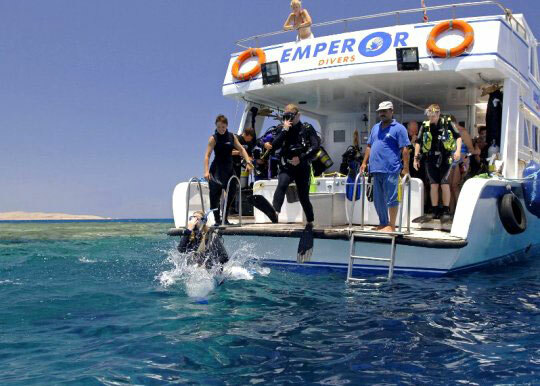 Much has been said about tourist safety in Egypt but we consider the Red Sea a safe place for a diving holiday. Considering the risks, you are likely to deduce that it is no more dangerous than most destinations around the world. Yes, there is significant threat from terrorism in Egypt, but like similar places where tourism is a vital lifeline, heavily armed security troops are highly visible at airports and major tourist sites. 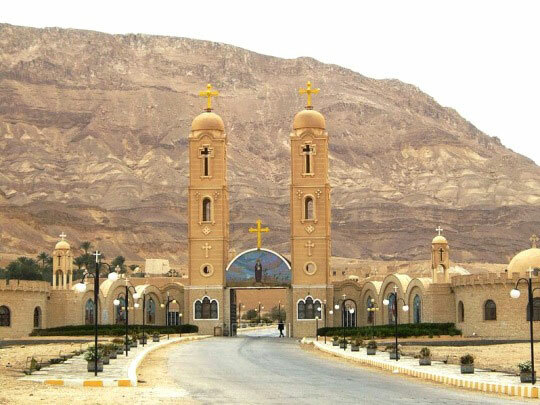 Counter-terrorist operations are persistent on the Sinai Peninsula to prevent fundamentalists from disrupting one of country's key revenue sources. Most travellers will not find any anti-Western sentiments amongst locals, but it always pays to stay vigilant and avoid political and public gatherings. The historical and cultural sights of Egypt, whether seen from the comfort of a Nile cruise through the Valley of the Kings, or in the city of Cairo, are just too good to pass up on. 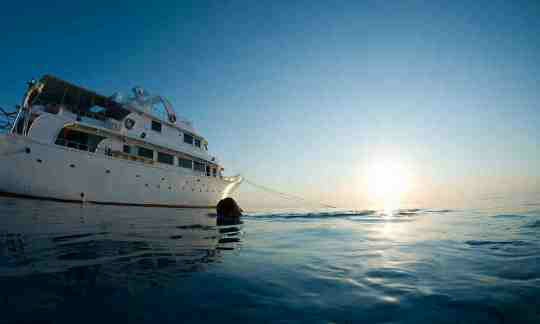 They really can turn a great Red Sea diving trip into the holiday of a lifetime. 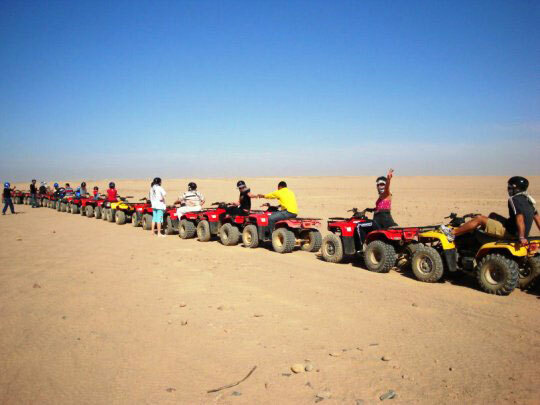 For some other great ideas on what you can see and do in Egypt and the Red Sea region, other than scuba diving, visit: Egypt Tourism . Egypt is 2 hours ahead of Greenwich Mean Time (GMT), but there is an adjustment for daylight savings time, during which Egypt is GMT +3. Daylight savings is in effect from the last Friday in April to the last Thursday in September. Most government offices work from 9 am to 2 pm and banks from 8:30 am to 2 pm, Sunday to Thursday. Shops are usually open from 10 am to 10 pm (9 am to 2:30 pm in winter), Monday to Saturday. 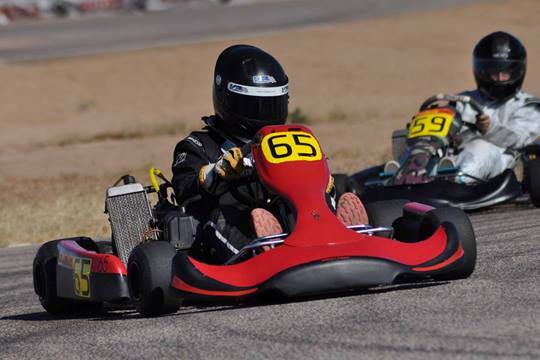 Weekends fall on Friday and Saturday. Most areas in Egypt use 220 volts AC, 50 Hz. The rural parts are not as developed as the urban parts, so in these parts 110-380 volts AC are still used. Wall sockets are the round 2 pin European type. Adapter plugs are easily found in city stores but bring a transformer if you need one, as these are difficult to obtain here. Keeping pace with international standards, Egypt Post's mailing services are now on an equal footing with those of world leading companies. The progress has extended to all postal services like letter delivery, express mail service (EMS) and others. Egypt has modern telephone systems and all cities are accessible via direct dial. For international direct dialling, use 00 + country code + area code + phone number. There are high surcharges on international calls from hotels though. Cheaper long-distance calls can be made from the 24-hour Post, Telephone and Telegraph (PTT) offices that are available in the major cities. For international directory phone inquiries dial 120. The local mobile phone operators use GSM 900 networks. They have roaming agreements with all major network operators and operate efficiently in most cities and beach resorts. A prepaid SIM card for Egypt is a practical option while you're in the country. However, the SIM Card will require a SIM-unlocked GSM cell phone that supports the 900 frequency. For calls within Egypt, use 02 + phone number. Internet cafes are available in main tourist areas. Since February 2008, the highest theoretical speed available is through 8 MiB ADSL lines. An increasing number of coffee shops, restaurants, hotel lobbies and other locations now provide free wireless internet access. Many dive holiday makers are apprehensive when visiting Egypt for the first time. Their views of Egyptians and Arabs, fomented by unkind and untrue media stories, often bear no relation to reality. Travellers are often surprised by their friendly, hospitable reception and take home with them good feelings about Egypt and its population. Most Egyptians in general are cheerful, friendly people who will welcome you to their country and will go out of their way to help you and respond to any questions you have. Baksheesh is what tipping is known as in Egypt and is something expected by anyone who renders you a service or assistance. Plenty of small notes are handy for baksheesh as hotel bellmen, doormen and tour guides all expect hand outs. 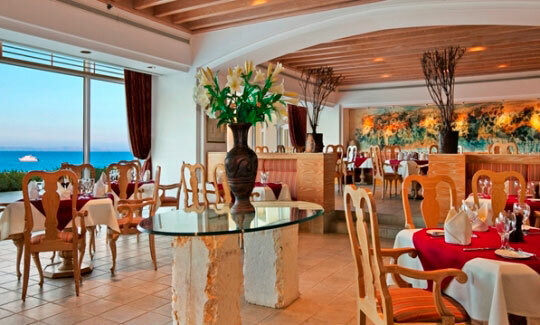 For other services, baksheesh will be a percentage of the bill. You will find a 7% tax and 12% service charge on most restaurant and hotel bills, but a 5-10% tip for good service can be given directly to the waiter. Taxi drivers are usually tipped around 10% of the metered fare, but not if the price was negotiated in advance. Haggling is the Egyptian way of life and is something that should be embraced. Once you've honed your haggling skills, half or ?s off the first asking price is not uncommon. Avoid coming across too interested, always keep it friendly and be prepared to walk away. You'll often be called back to buy at the price of your lowest offer. But heed this: do not make an offer if you don't intend to put down the cash for it.